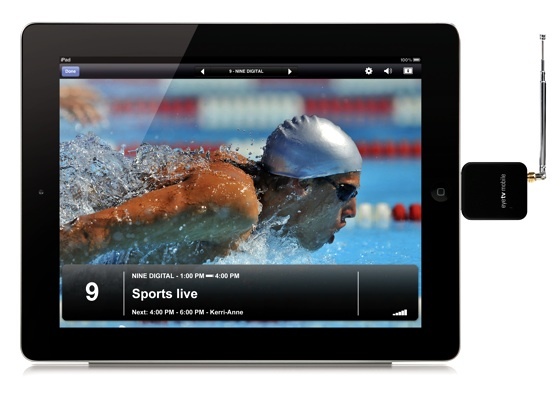 TV tuner specialist Elgato has come up with a plug-on Freeview pick-up for the iPad 2. 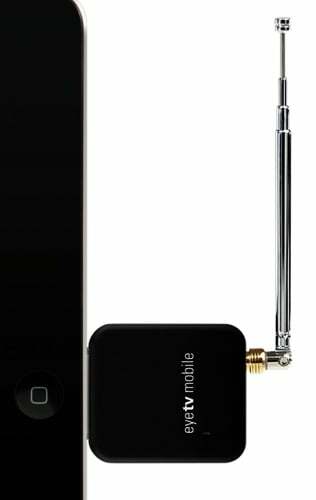 The diminutive dongle - called the EyeTV Mobile - clips onto the popular fondleslab's dock connector and pulls down digital TV signals through a telescopic micro-antenna. Power comes from its own on-board battery, charged over a separate USB connection. Not just Freeview - it'll work with any MPEG 2 streams sent out over DVB-T. Alas, it doesn't support Freeview HD/DVB-T2.